We will have Starbucks coffee and sweets as you arrive and later we’ll be serving free pizza and cold beverages outside where you’ll have a chance to mingle with the speakers and your neighbors! The meeting will be held at the LILA school…you know, that place under the Shakespeare Bridge you’ve passed a thousand times! Enter at 4155 Russell Ave. Parking is free or you can just walk over! Sign in begins at 10:30 and the fun starts at 11:00. If you live in the neighborhood come join us! 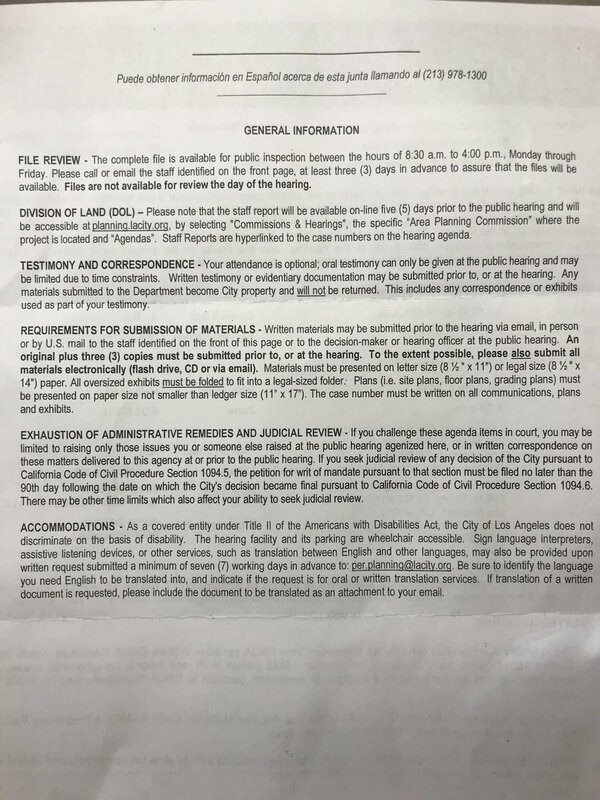 Please see attached for information on Public Hearing for mini-lot project at 4011/4013 Sunset Drive. Your photos will be be posted to the appropriate gallery below. Two winners will be chosen -- one boy cat, and one girl cat! WINNERS WILL BE ANNOUNCED ON DECEMBER 15TH! Meet at the corner of Tracy St. and Hyperion Ave. next to Baller Hardware: 2505 Hyperion Ave. If you live, work, shop, or go to school in the Franklin Hills, then please come out and join District E. representatives Danny Cohen and Siobhan Burke for a walkabout on a 1-mile stretch of Hyperion/Fountain from Tracy St to Sunset Blvd. Come share your thoughts about safety, accessibility, and mobility. Wear your walking shoes and bring a water bottle. DATE CHANGED TO JULY 22 @3PM .. DUE TO HIGH HEAT! LFNC is hosting a Back To School Drive Tuesday, July 17th at the Elysian Masonic Lodge benefiting students experiencing homelessness at both Thomas Starr King Middle School and John Marshall High School. Would your members like to participate in donating to the drive as well? Also, the Los Feliz MOMS Club is collecting items for the drive in an Amazon Registry if any of your members would like to contribute in any way. the garden. Now it’s time to celebrate its completion! Saturday, June 30th from 2 to 4 p.m.
and a bubbly water toast. Do you have the cutest dog in all of Franklin Hills? Franklin Hills BOW WOW WOW Photo contest! For the length of the contest, anyone who signs up for a new membership will receive a free Franklin Hills T-Shirt! Support Franklin Hills team Bridge To Life and the American Cancer Society at the Mulholland Fountain at the corner of Los Feliz Blvd. and Riverside Drive. Free parking on site at the entrance on Riverside Drive. Come and enjoy live entertainment, food, and games. Meet Councilmember Ryu, LAPD cadets, cancer survivors. Join the opening ceremony and survivor/caregiver walk (11 a.m.), Luminaria ceremony (8 p.m.), and closing ceremony (9 p.m.). Walk the track with team mates to raise awareness and bring support for the treatment of cancer. Griffith Park Adult Community Club "Spring Faire"
GPACC Café ~ Hot Dogs ~ Arts & Crafts ~ Plants Silent Auction ~ Raffle ~ Community Resources Books! Books! Books! Books! Every two years half the members of the Los Feliz Neighborhood Council (LFNC) are up for election. For purposes of representation, LFNC is divided into Districts (see www.losfeliznc.org/map). A portion of District D and all of District E are within the boundaries of the Franklin Hills Residents Association (FHRA). Historically, this has been a low turnout election. One reason is that there are few opportunities for voters to learn about the candidates and for the candidates to spread their message. To be sure, there is always an article in the Los Feliz Ledger and each candidate must submit a statement to the city (see www.losfelizvotes.org/meet_the_candidates/). Nevertheless, it’s a tough campaign both for voter and candidate. So we thought, we’d do our part to spread the word. Once again we asked the candidates from Districts D and E to respond to a questionnaire to be posted on the FHRA website (www.franklinhills.org/news). Two candidates in District D and four in District E graciously answered our request. The candidates’ responses are listed below alphabetically by district. Come to discuss your neighborhood concerns with City Councilmember David Ryu, Neighborhood Prosecutor Gabrielle Taylor, Senior Lead Officer Lenny Davis, representatives from the fire department and animal control officer Hoang Dinh. City officials will be on hand to answer your questions about safety preparedness, crime trends and prevention tips, and local wildlife.